…is a progressive, extreme metal band out of Erie, PA. The band is known for composing complex, heavy, and diverse songs with numerous twists and turns and those who see them onstage are treated to the dynamic musical performance that RFO brings to their live shows. They pay little attention to what would sell or what is trending and blaze their own trail in the tradition of bands like Rush, Dream Theater, and Opeth. 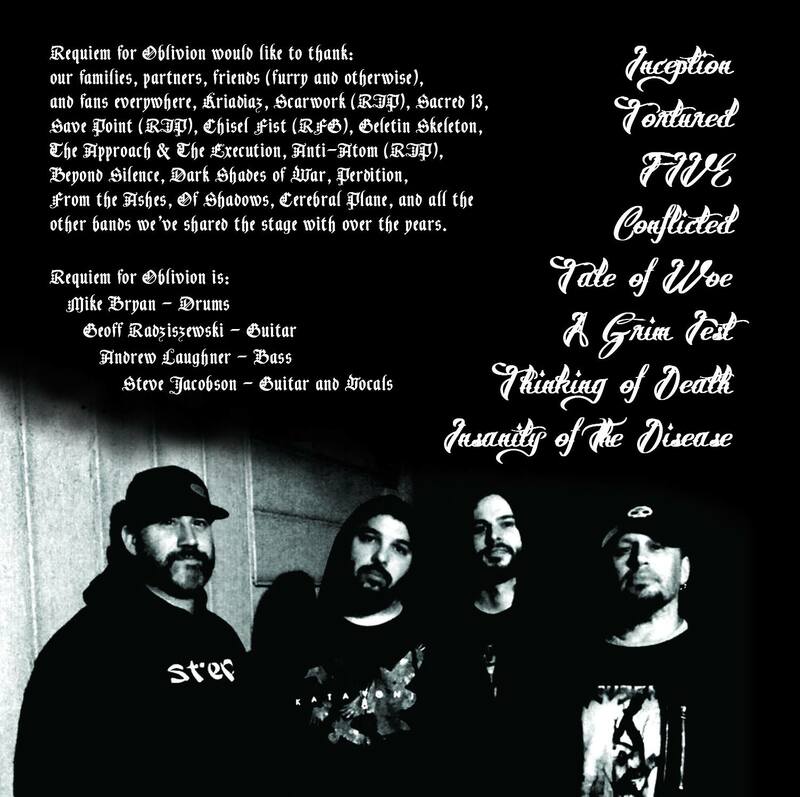 Project started by Steve Jacobson (Forsake The Flesh, Scarwork, iScream), former member and co-founder of the NorCal Death Metal Band FORSAKE THE FLESH. Steve moved to Erie, PA in 2007….which gave him the opportunity to start work on his own project that had been brewing for years. Helping him with the recording process and the first to join the „live“ version of RFO is drummer Mike Bryan, who ironically, moved to Erie from Reno just a month prior to Steve moving there. Through a twist of fate they were put together. So far a 6 song demo is available (free for an email at Reverbnation); a two song EP 2011, (on Pandora); EP13 (BandCamp); and a full length, ‚Dark Tales Of Forgotten Mindscapes‘ released in May 2014, (available on all major digital distributors and streaming sites). As this project was originally a one man machine (in the tradition of Chuck Shuldiner’s ‚Death‘), a revolving door of local musicians guest appeared for local and regional shows. In early 2012, the live line-up second guitar slot was finally solidified with the addition of Geoff Radziszewski (Chisel Fist, A Bed Of Razors, Never To Suffer). Joe Kelly (Scarwork, iScream) joined on bass and was later replaced by Andy Laughner (Chisel Fist) in 2013. In 2014, original drummer Mike stepped down for personal reasons and was replaced by David Kiehl. When Andy announced he was moving to Indianapolis, gifted bass shredder Kyle Kraschneske stepped in. With a solid line-up in place once again, the band plans to play many many local and regional shows in the coming months. The band’s mix of ambient, progressive metal provide their audience with a dynamic musical experience reminiscent of Agalloch, Opeth, Between The Buried And Me, and Dream Theater. In addition, there are some acoustic steel and classical string sequences alongside unorthodox ghostly vocals and guttural moments as well. 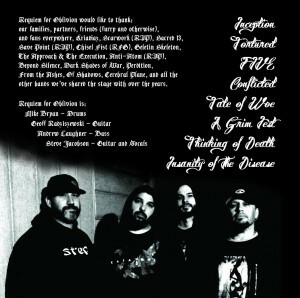 RFO has played a show hosted by Metal Sanaz and has shared the stage with national and regional acts such as Katatonia, Intronaut, Tesseract, Vital Remains, Cult Of Luna, Kataklysm, Fleshgod Apocalypse, Rose Funeral, Mushroomhead, Kriadiaz, Ventana, Here Lies Another, Demons Within, and Scarwork. Plus, early on the band was known to play acoustic versions of their songs at many of the local venues around the Erie showcasing their diversity. Dark, progressive, atmospheric death metal. Steve & the RFO crew.